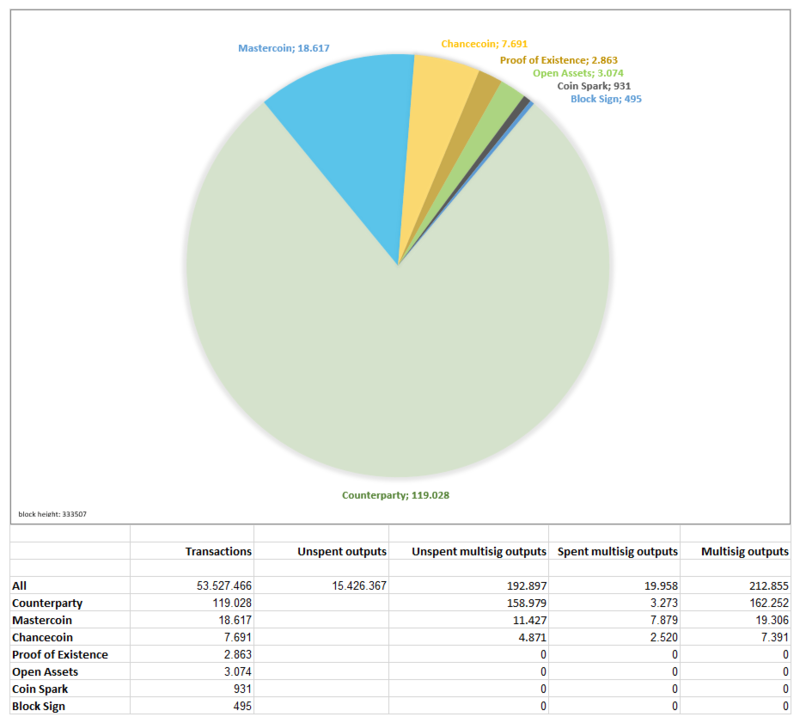 Earlier this year, on March 24, “Dexx” – a user on Bitcoin Talk – published a pie chart illustrating the composition of some metacoins. 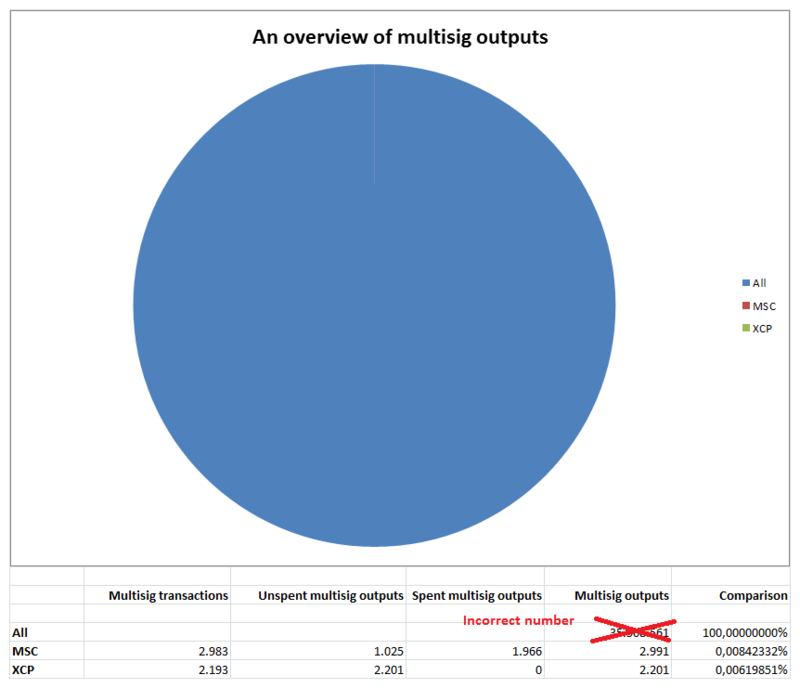 Over the past six months we have kept in contact and he has updated the chart showing the progress and trend of multisig outputs. This only includes the transactions Dexx was able to identify such as Proof of Existence, Open Assets, Coinspark, Block Sign and the use of OP_RETURN (note: there is still an active discussion between using 40 bytes and 80 bytes). Open Assets and Coinspark are a type of colored coin implementation and both Proof of Existence and Block Sign are a type of notary service (here is an album view). Almost all of those unclassified multisig outputs were created by Wikileaks and actually carry some data too. What does this look like on a day to day basis? Over the past several months – according to Blockscan – Counterparty transactions have sometimes accounted for roughly 3% of all traffic on the Bitcoin network. In the future, observers and researchers may find that coin mixing (via Coinshuffle, Coinjoin, Darkwallet, etc.) as well as P2SH are comprising ever larger shares of the network as well. Note: there is also continual discussion over the role and use of bare multisig as data carrier. 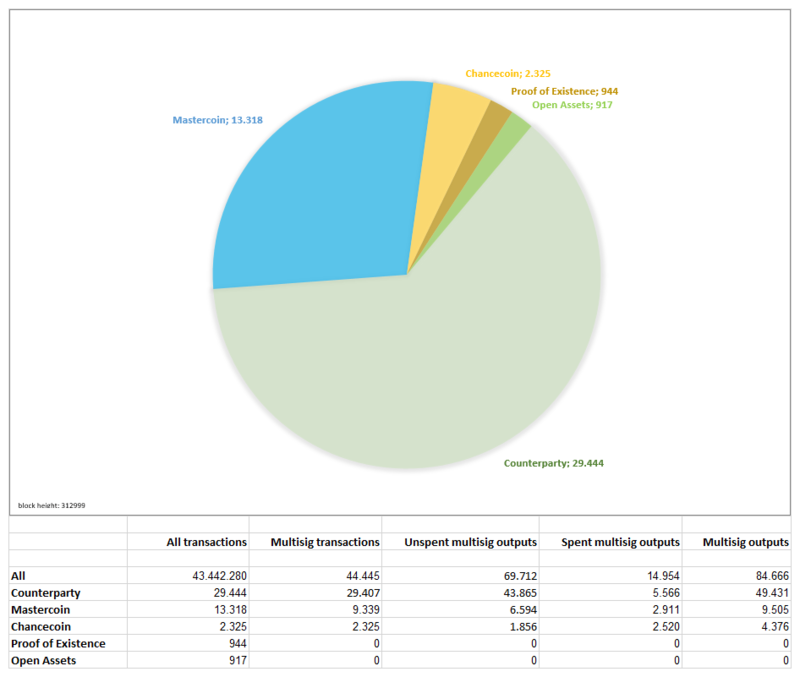 Share the post "The Composition of Metacoins on the Bitcoin Network"